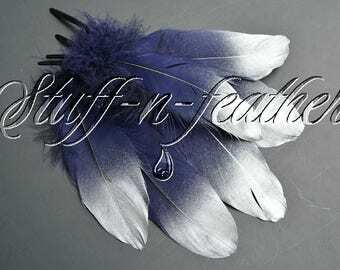 This is a listing for a dozen loose hand selected premium Goose feathers – Goose pallets – Navy Blue, dyed. 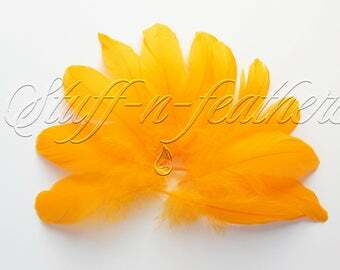 All feathers are cleaned, steamed, prepped and ready to be used. They come from smoke-free studio. 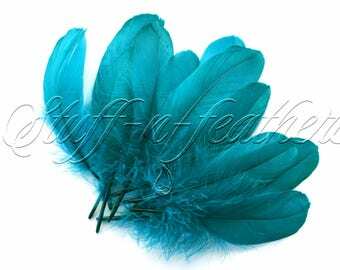 These feathers are beautiful! Perfect for my hat project. Definitely recommend! 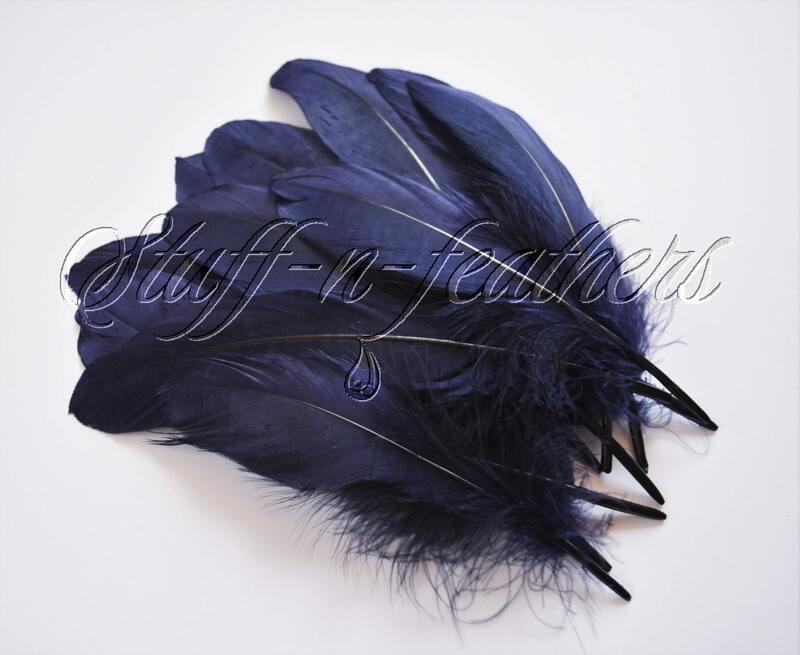 These are so beautiful, they packed them so perfect so they wouldn’t bend, I usually buy my feathers on amazon but 1 they are cheaper 2 they are amazing quality 3 they handled them so good. 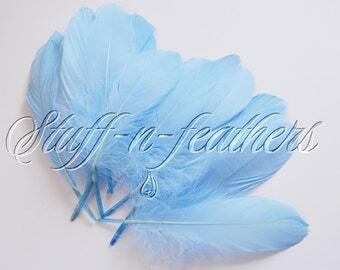 I will be buying my feathers from here from now on, I am so happy!